Jullundur (jalandhar) surgicals enterprises is one of the leading distributor and wholesaler of _pigeon baby products in delhi, india. 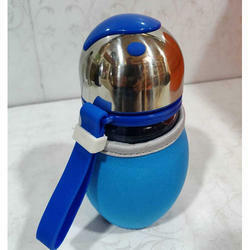 We offer the most hygienic range of cost effective baby bottle. These bottles go under the brand name of DIMPU BABA, BABY. The customers can avail a this range in 250ml &125ml capacities. Our products are well known for their quality. Being a baby products we make sure that the materials that are used are of best food grade quality. 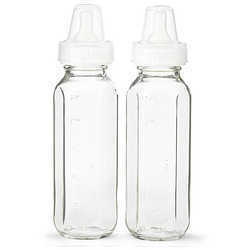 We are offering a wide range of Baby Feeding Bottles. These are manufactured using quality material. Our products are available in various composites to our valued clients. We offer these products at reasonable prices to our clients and these products have great quality. - Tender Flo Is premium range material made in USA, special grade engineered for baby bottle. Carefully made to the highest safety standard.This bottle comes with a special spoon fitted for baby`s first cereal.The bottle is made up of soft plastic that makes cereal passage to the spoon easy. - For baby from bottle feeding up to weaning stage.